Environmental activists who support the Green New Deal occupy the office of then-House Democratic Leader Nancy Pelosi of California on Capitol Hill as they try to pressure Democratic support for a sweeping agenda to fight climate change, on Dec. 10, 2018. Is Neguse-backed 'Green New Deal' for real? Progressives have created a frenzy by promising a “Green New Deal” to transition the U.S. away from fossil fuels within a decade. The proposal counts newly elected Colorado congressman Joe Neguse among its supporters, and is championed by the freshman sensation Rep. Alexandria Ocasio-Cortez, D-N.Y. The Green New Deal has excited those who long for major federal action to combat climate change. But it has also exposed fissures between establishment Democrats and new progressives over turf, ambition, and process. Transforming the Green New Deal from broad concept to legislative language will be a major challenge for the party. “The purpose of the Green New Deal is to shake people up and say climate change is a serious crisis, Congress needs to act, and it needs to be doing so in a way that is job generating and helps communities left behind,” Rep. Ro Khanna, D-Calif., a progressive House member elected in 2016, told the Washington Examiner. The Green New Deal, as imagined by its sponsors, comprises a few core tenets. It would require the country to use 100 percent renewable energy by 2030 — across all sectors — and make massive public investments in clean-energy infrastructure, on things such as light rail, electric-vehicle charging stations, and weatherized buildings. The Green New Deal also would guarantee a job to anybody who wants to work in the clean-energy transition, make every residential and industrial building more energy efficient, and build a national “smart” grid to better incorporate wind and solar power. As an example of how aspects of the Green New Deal could become policy, Khanna said he plans to introduce a bill that expands the electric vehicle tax credit and links it to a requirement for automakers to build their electric cars in the U.S.
“The idea is you re-purpose these factories, like the ones General Motors [is] closing, to make electric vehicles, and put people back to work,” Khanna said. The concept of a Green New Deal — tying climate change policy with social justice and inequality — is not new, and is modeled after the original New Deal. “What we are imagining is a World War II-scale mobilization of our economy that is set around the objective of reversing the climate crisis and having a 100 percent greenhouse gas-free economy in 10 years,” Saikat Chakrabarti, Ocasio-Cortez’s chief of staff and former campaign manager, told the Washington Examiner. The Green New Deal has long been a part of the U.S. Green Party’s platform, and the 2016 presidential campaign of Jill Stein promoted the idea. The AFL-CIO has also talked about it, as has the Labour Party in the United Kingdom. President Barack Obama made a Green New Deal a part of his 2008 platform, but it never caught on. The Green New Deal reached new attention in late 2018 when Ocasio-Cortez endorsed it and worked with the Sunrise Movement, an activist group of young people, to pressure Democratic leaders to support it. In November, Ocasio-Cortez, fresh after being elected, joined a protest organized by the Sunrise Movement in the office of then-Democratic Leader Nancy Pelosi to pressure her to revive a select climate-change committee and empower it to draft a climate-change bill by 2020. House Democrats, in one of their first moves upon taking power earlier this month, established a new Select Committee on the Climate Crisis. But because of pushback from veteran Democrats who want climate legislation to follow the normal committee process, the new panel can only make policy recommendations, and not write bills. There’s no doubt, though, that the Green New Deal is inspiring Democrats. “It’s very energizing that our freshman class brings forth this kind of focu sand passion to climate change to those of us who have been held back by the legislative process for years,” Rep. Paul Tonko, D-N.Y., who leads the Energy and Commerce Committee's subcommittee on environment, told the WashingtonExaminer. More than 40 Democrats in Congress have endorsed the Green New Deal, Neguse among them, the Sunrise Movement says. "We've got to push for a renewable energy future," Neguse told the Fort Collins Coloradoan in a December interview, before taking office. "... In order to do that, we're going to be embarking on some incredibly transformative transitions in our workforce. The Green New Deal effectively attempts to do both." 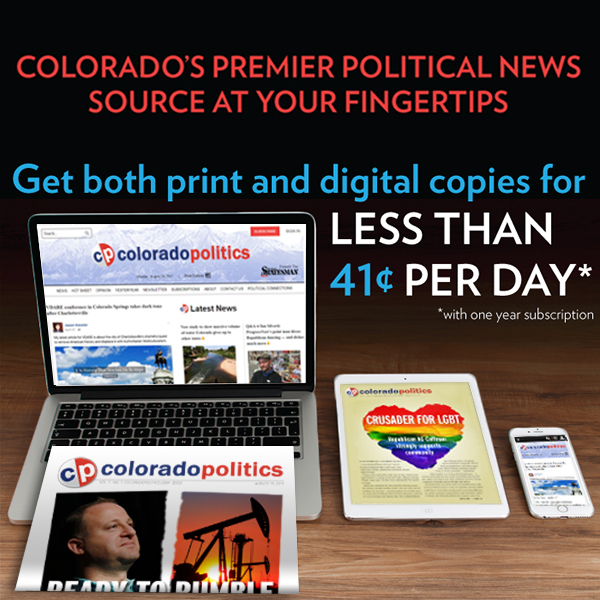 During his campaign, the Boulder Democrat – who succeeded Jared Polis in representing the 2nd Congressional District – called climate change an “existential threat,” as did Pelosi in her Jan. 3 inaugural speech before Congress. Even some centrist Republicans who want the federal government to enact major climate-change mitigation policies appreciate the message of the Green New Deal and its urgent call to action. “Anytime you have politicians talking about climate change, it’s a good thing,” Ryan Costello, who retired from Congress in 2018 after representing the Philadelphia suburbs as a Republican, told the Washington Examiner. The Senate Republican Policy Committee, however, issued a policy paper in December decrying the Green New Deal as expensive and technically impossible. Other mainstream Republicans share that view. Some Democrats are also wary of the Green New Deal’s more controversial components, such as its jobs guarantee, and Ocasio-Cortez’s idea to pay for the plan by raising the marginal tax rate to 70 percent. These critics say it could be politically untenable to link climate change with a broader liberal economic agenda. Other climate-change advocates and Democrats such as Bledsoe who support the concept of the Green New Deal say it should be more flexible to embrace carbon-free options that are not renewable, such as advanced nuclear-energy technologies and carbon capture and storage on coal plants. “If you care about climate change and reducing emissions, focusing only on renewables will make achieving those things more difficult and costly,” Noah Kaufman, a Columbia University energy economist, told the Washington Examiner. Kaufman and others also wish the Green New Deal would emphasize carbon pricing, which most experts view as an essential policy to avoiding the worst consequences of climate change. Chakrabarti said the Green New Deal is not dismissive of carbon pricing, but he says a carbon tax or cap-and-trade policy is not significant enough to tackle climate change.